St. Joan of Arc delegates with welcome decorations from their sister parish in Tierra Nueva II. Feeling intimidated by the task, I gathered reflections from many of my fellow delegates and Tierra Nueva II (TNII) friends. Finding time to write it proved to be challenging in between meals, visiting and extended family visits in my host family’s home. My host mom ran out to find the correct readings in Spanish for me and another TNII friend proofread my work. I worked late into the night with a flashlight under the covers so as to avoid disturbing the rest of the family. Bleary-eyed, I woke and dressed for 6:00 AM mass. I was so nervous as I approached the altar when invited up by Pastor Tomas and began to share my thoughts in front of a packed church. At one point I made eye contact with a very good (and new) friend from TNII while talking about how much he had helped our group keep God at the center of our experiences. Overcome with emotion I barely finished through my tears. I never expected to feel so deeply connected to a group of people in such a short amount of time. Below you will find the text (in English) of my comments that day that, I hope, begin to capture this unexpected but wonderful connection. 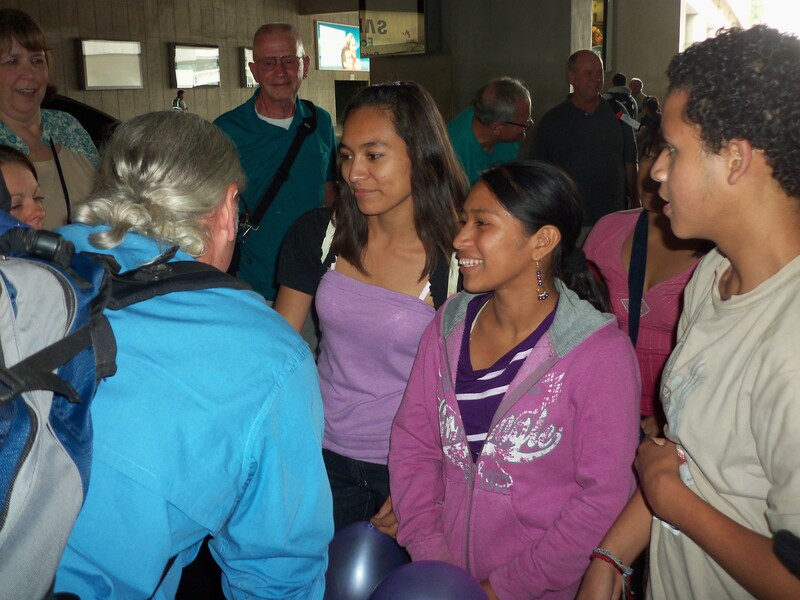 St. Joan of Arc delegates are greeted at the airport. What is solidarity? I thought that I knew before coming to Guatemala. My name is Meghan Grossman. The delegation has chosen me to speak today. Thank you for the opportunity to share some reflections about my Sister Parish experience with you. With each passing day in Guatemala we have become more aware that our definition of solidarity was incomplete. Today’s readings from the Bible show us why. The second reading today says “Don’t be thoughtless.” Many North Americans have no concept of the struggle and difficulties of the Guatemalan people. From this ignorance some actions and, worse, some inactions have resulted in injustice. During trip…we visited the Peace Park of Santiago de Atitlán where thirteen young people are buried, victims of a massacre of the same time period. 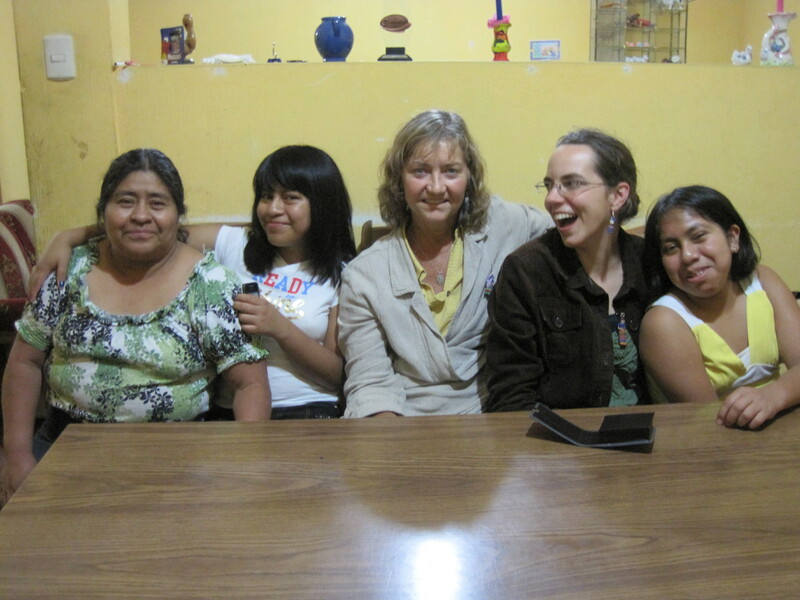 The people of Guatemala have much to teach us about reconciliation. 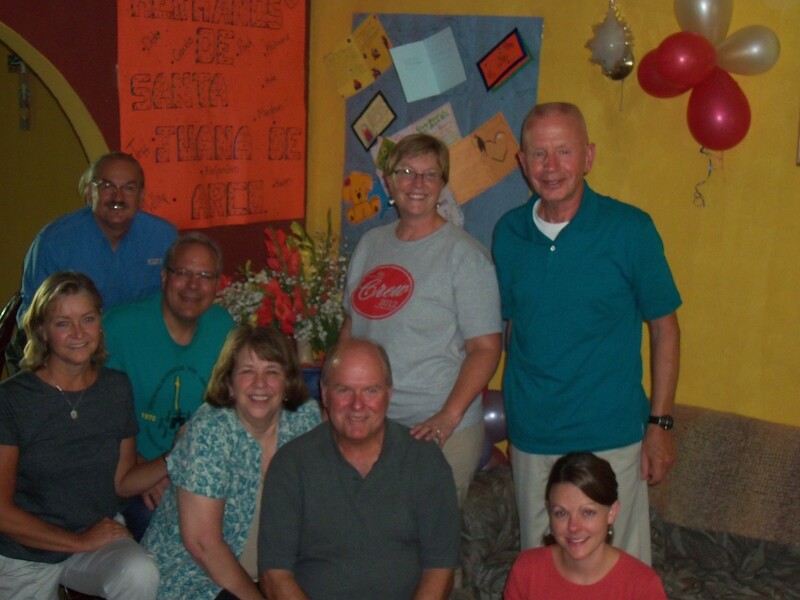 Thanks to our wonderful hosts in TNII, homestays were a highlight of the delegation. In the first reading it says, “…advance in the way of understanding.” A young scholarship student from Tierra Nueva II…gave us an example of this yesterday. When she was asked about the pressure of drugs and violence that she confronts, she responded with wisdom. She told us that in order to live a long life, she needs to listen to and respect her parents because they have already experienced a lot. We have also learned to listen to those who have experienced life, fought for justice and built a community here in Guatemala. We have learned that we do not know the best path. Like Brother Paul [from Tierra Nueva II] says, our sister parish relationship is one of equals, not of charity. We do not see ourselves as superiors or parents or you as poor children. Together we are equals, advancing in the way of understanding. In the Gospel the theme is communion. There is no better theme to explain our sister parish relationship. As Jesus says, “He that eats of this bread will live forever.” To share communion is fundamentally a sacrament of community. We are a community united in a long history, an unconditional promise and in our Catholic faith. The long history began 18 years ago when the first delegation came here from Saint Joan of Arc. 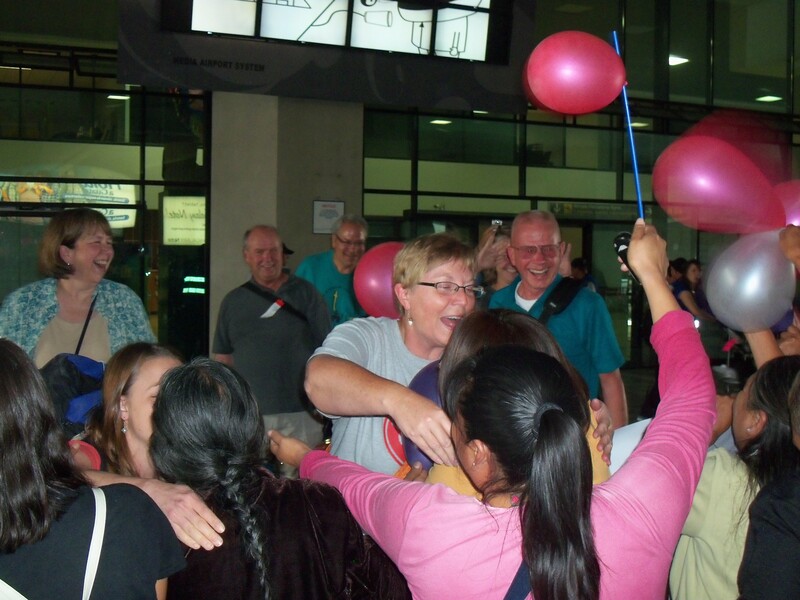 Every two years since then members of the church of Tierra Nueva II have received us into their homes as members of their families. Thank you..to all the families that have hosted us. Every two years a delegation from here visits us as well. We live together, we pray together and we eat together, as brothers and sisters in Christ. Every year our commitment is stronger. It is our faith that has given us the most. Thank you to [the two representatives of TNII that traveled with us] for always reminding us, even after a long day traveling in the countryside, the importance of confidence in God and always thanking God. Saint Joan of Arc and Tierra Nueva II eat the bread of life together and we believe that our sister parish relationship will live forever. Solidarity is something that you cannot understand until you feel it. I felt it when: strangers met me at the airport with joy and song, when we laugh and cry together, when, together, we get angry over the injustice of malnutrition, violence and lack of funds for the health post, when Eluvia gives me my daily hug (or hourly hug). Solidarity is a feeling, not an abstract concept that is not going to end or even be put on hold when we return. We are going to strengthen the bridge that we have built through communication, prayer and adding more people. I am going to be much more conscious of news from Guatemala and North American issues that impact Guatemala. I am going to share what I have learned with everybody and invite them to join us. I also invite you to become a member of the sister parish committee, the Peregrinos (those that reflect on the Bible with members of Saint Joan of Arc) and to pray for understanding, justice and solidarity. In conclusion, thank you for your commitment to this beautiful sister parish relationship. God bless. Read more from delegates on the St. Joan of Arc website. This entry was posted in Delegations, General, Guatemala and tagged delegate reflections, st joan of arc, tierra nueva ii. Bookmark the permalink.